Get ready for an exciting journey into the world of songs. 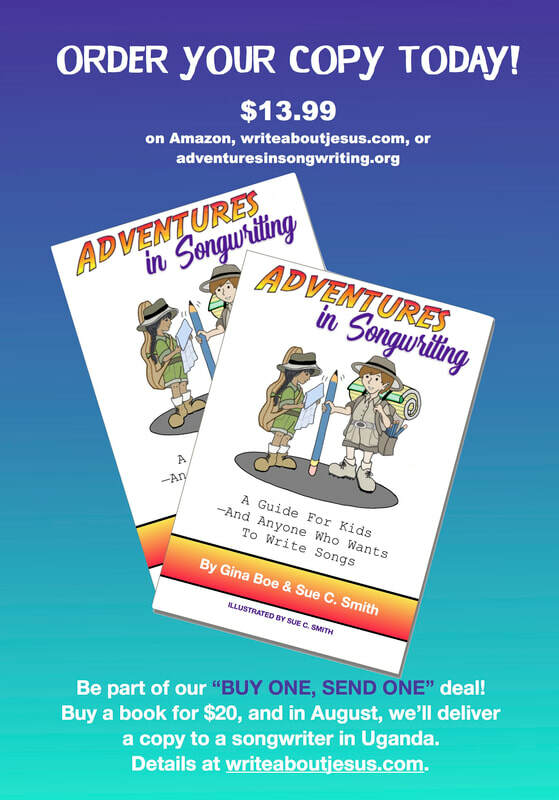 Your guides, Gina Boe and Sue C. Smith, have years of experience climbing the mountains of well-crafted lyrics, navigating the rapids of powerful melodies, and exploring the jungles of co-writing. They’re ready to set off with you on a trip that will help you discover what you need to know about how to write a great song. The eleven information-packed chapters of this easy-to-read book are filled with many secrets that professional writers spend years learning. Each chapter ends with some practical lessons that will take your writing to the next level. So pack your journal, a notebook, and some pens and pencils. Bring along all your creativity, your courage, and your sense of wonder, and we’ll be off. And hey—if you’re not exactly a kid, it’s ok. Songwriters of every age are welcome on this adventure!